No matter what type of skin care regimen your customers use, there’s always room from improvement. Our GMP-certified skin care products can be used in conjunction with many major skin care solutions because they’re natural. Our team can help your customers with a variety of skin care solutions, see below for our most popular supplements and treatments. Not unlike anti-aging or healthy skin solutions, reversing skin damage can be an excellent way to help a skin care regime succeed. Customers are always searching for new solutions for reversing pre-existing damage to their skin. Some of our most popular solutions are antioxidants and vitamins. These supplements help penetrate deep into the skin and repair the skin cells directly. There are a multitude of other solutions that can affect your skin care routine for the better. With BioThrive Sciences, we can create a custom solution with private labeling to ensure your product is exactly what your customer needs. More individuals are acknowledging the importance of good sun protection. Our team has several formulas available for protecting your skin so you have a healthy, youthful glow longer. Some of our most popular formulas for sun protection include antioxidant supplements and fern extract. Help your customers prevent UVA damage by protecting their skin for maximum protection. 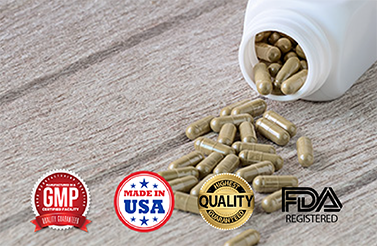 If your customer base is searching for a specific formula, reach out to our team for suggestions on the best anti-aging supplements in the market or visit our anti-aging product page for more information. If your company is looking for a manufacturer and fulfillment company, look no further than BioThrive Sciences. Our team has over 20 years’ experience working with private labeling, custom product creation and fulfillment. Call our team today to speak with a US based industry specialist today.